Here we have a good news for all of you Volkswagen bus enthusiast especially from US and Canada. 50 Units Volkswagen Kombi Last Edition already in Mexico and ready to go for owner. Most of you already knows it's a special edition from one of the last legendary car in the worlds, as a tribute Volkswagen has created this Kombi, just only 600's with numbered, so it's a really importance of the series. But we not sure it's just 600's please read here. Delivered in Arizona, Texas and all of country in US and Canada. Ready for worldwide freight available. If you want him, don't miss it, his only 50's in Mexico. Really interested in finding a way to get one of these in the US. Any help would be appreciated. Hierbas y Nicole, amigo, en Mexico hay un monton! solo debes de tener mucho cuidado al venir aqui, sería bueno que alguien te la mandara allá, la agencia VW por ejemplo,. un saludo. 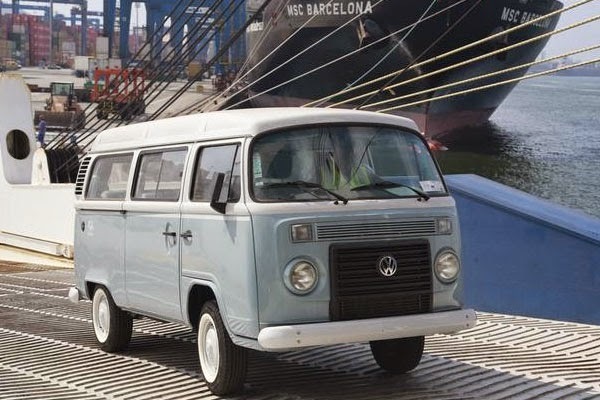 I would like to buy one of these kombi last edition for use in the us. any help?